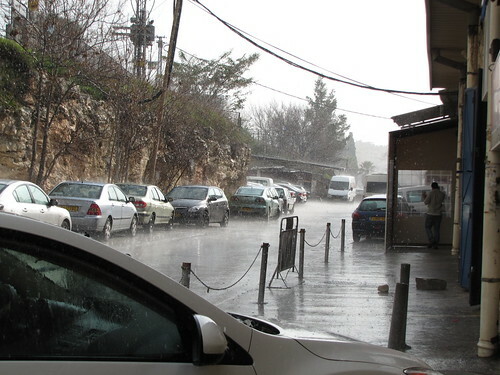 It hailed in Jerusalem today. 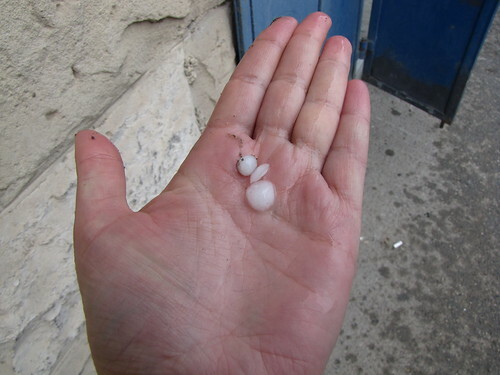 I picked up a few hailstones and held them in my hand. Wow, were they ever cold! After the hail, a rainbow! 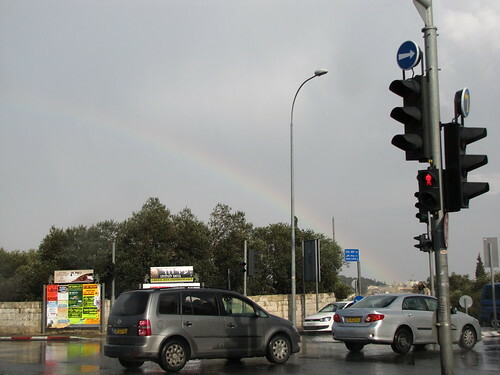 I was in Jerusalem (my first time) the same day. Walked through the hail to the Kotel. 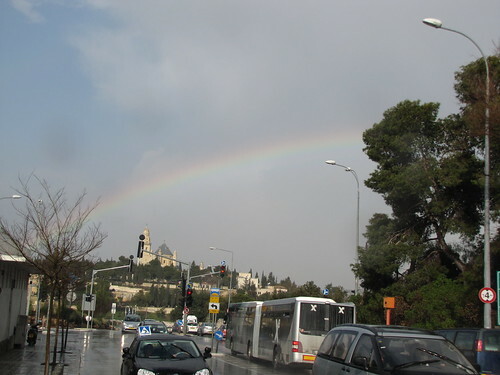 Saw the Kotel under the rainbow, and took photos of it.